I subscribed to Birchbox last month and to be honest the first box I received was a little lack luster. 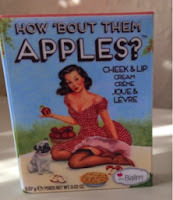 The products were cute but I wasn't wowed with the box when I opened it. This month however...love it! 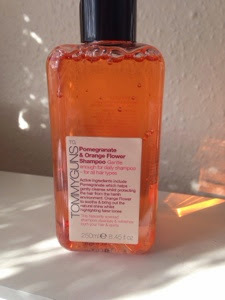 Tommyguns - Pomegranate & Organge Flower Shampoo. The scent is gorgeous but not over powering really delicate. I'm a fan of citrus scents for my hair anyway and being blonde you can find that the citrus tones actually lighten your hair just a little bit. I tried it out this morning and wow! I'll be honest it didn't lather up like most shampoos I use but how it left my hair after I dried it was amazing! My roots feel soft but not weighted down by it at all. There is no residue left by the shampoo, which is so important for me because I have fine hair anyway. It's gorgeously soft and smooth.I kinda wish that I was given a miniature shampoo and conditioner to get the full effect of this product as opposed to one large bottle of shampoo but it's great. 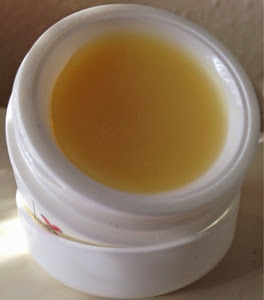 The Balm - Cheek & Lip Cream. Firstly I just want to say how much I love this packaging and not just the half naked cowboys. This product creates a personality and is different from the rest. The shade I received was Pie, I'm not sure if everyone recieved the same shade but I think it was the safest option. Now, personally I'm not one to add too much colour to my cheeks and this one would have to take a fair amount of blending to make it look normal so I tried it on my lips. Again, I prefer muted tones I think red lips can work well with blondes but you've got to be careful on the shade otherwise it could look a little too much shall we say. Overall, I like it but less is definitely more with this product perfect for adding just a touch of colour. 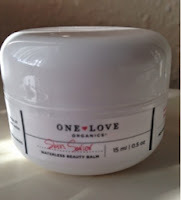 One Love Organics - Skin Saviour Waterless Beauty Balm. 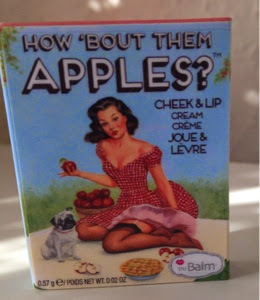 This packaging is quite a stark contrast to The Balm, but this is a case where simplicity works. This beauty balm can be used on your face as a cleanser or as a moisturiser. I would never use this on my face, it has a very oily texture and I would be paranoid that it would cause me to break out. As you may or may not know, I rarely use any cleansing products on my face only Simple and that's only once or twice a week. When I twisted the lid off, the scent was amazng, think sherbet. It's a kind of fizzy sweet smell if you know what I mean, really lush! I tried this product on my hands as just a moisturiser, I rubbed it in but it doesn't really sink into my skin so I washed them with warm water (the way it tells you to do it if you were using it as a cleanser on your face) It almost created a barrier on my skin and the water just kind of stayed on there so I continued to rub my hands together spreading the product all over then dried them. My hands actually feel so soft and that yummy sherbet smell lingers subtly on my skin. I actually like this product more than I thought I would. 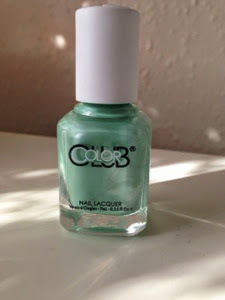 I actually bought a very similar shade in the Barry M silk collection recently so it's a shame this colour came but i still think it's lovely nonetheless, it's a slightly more green shade than my Barry M one and this one is a Nail Lacquer so maybe it'll be a bit thicker too. Right now I can't try it out because I have shellac on but after I get this removed it's definitely on the (ever growing) list of nail polishes to try. This is a fail safe product for me, I always wear eyeliner, every day! So I was very happy to get this pencil because my Rimmel one is almost at the end of it's life so this'll be a good swap. I tried it today, it lasts fairly well. Pretty standard eyeliner pencil - can't go wrong. 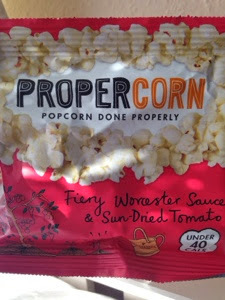 Propercorn - Fiery Worcester Sauce and Sun-Dried Tomato popcorn. I am a massive fan of Propercorn Popcorn. It's lush! It's so much more that just sweet or salty popcorn which I of course love but it's good to have different flavours. I tried this one last year some time and quickly became obsessed. 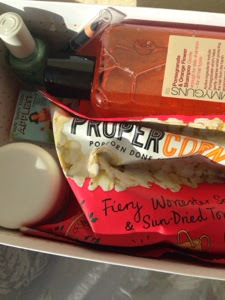 I've noticed that in some other bloggers Birchboxes they have different flavours such as Coconut and Vanilla. I'm so happy I received this flavour - I hate coconut. So all in all, a bloody good box incredibly happy with this one. Let's hope next month is this good.